There’s something in you that you HAVE to share with the world. You have this business idea that you think about all the time. You can see exactly what your startup will look like when it’s finished. It really inspires you. It keeps you awake at night. You feel like it’s something you MUST do. It’s hard, but you believe all the effort will be worth it in the end. You know you were meant to be an entrepreneur. There’s something about creating your own thing that really fires you up. No other way of working seems as exciting as creating your own business. If you are excited about being an entrepreneur, that feeling is there for a reason. It’s not just an idle dream. It’s something that has been planted in your heart. You were given your business ideas for a reason. You were entrusted with them because YOU have something to offer. YOU are the one to bring them into a world that needs them. And your ideas are something YOU can do that no one else can in quite the same way. That’s why your idea came to you. Because YOU are the right person to bring it to the world. And that’s why you lie awake at night. Because these feelings are a message to you that there is something you MUST do. You and I know that startups aren’t just about the money. Right? Of course they need to make money – or else they wouldn’t be businesses. But startups are primarily about making a positive difference in the world. They are about impact. The money comes when you are blessed to make enough difference to enough people. 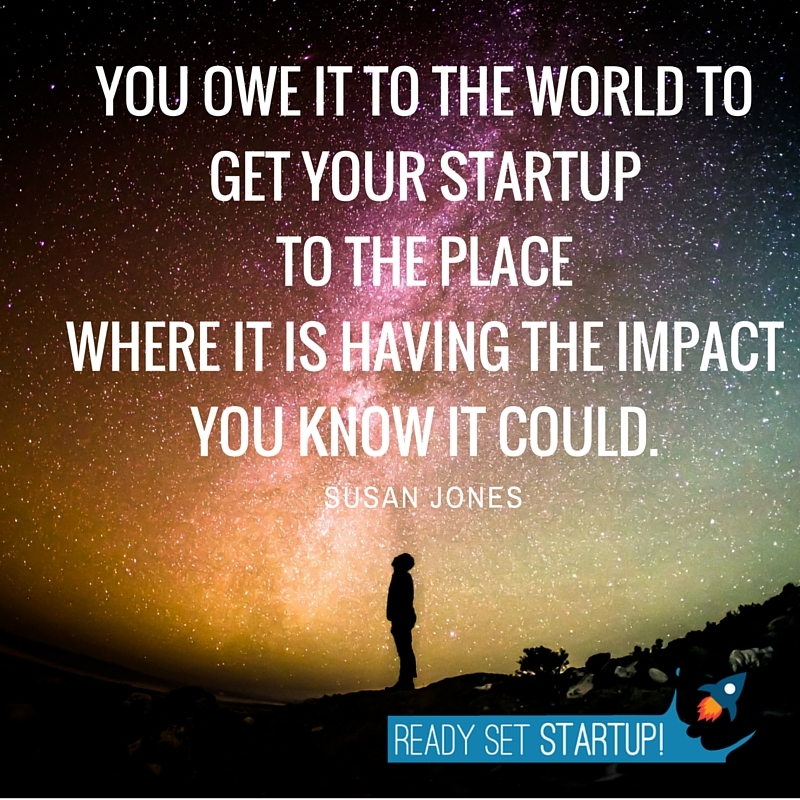 Your startup idea has been given to you, so you can make an impact. THAT’s why you need to super charge your startup creation. If you have a startup idea inside you that you are not working on yet – or if you have a startup that is not yet having the impact you have dreamed of – you owe it to the world to get that idea to the place where it is having the impact you know it could. So as the year is drawing to a close, if you are like me, you are probably looking back on the past year and thinking about what you will do next year. How do you feel about the progress you have made on your startup in 2015? Are you happy? If you know you haven’t made the progress you wanted to, what stopped you? There’s lots of reasons why you might not progress. Life happens. I understand that. Boy do I understand that! However, let’s move forward regardless. Because we have something we want – no! we NEED to build to impact the world. And let’s plan to make some massive impact in the year ahead. What do you have to be thankful for in regard to your startup? Do you feel satisfied with your journey in building your startup this year? What do you want to achieve next year? What do you want to be looking back on in November 2016? How are you going to make sure that happens? What needs to change in your heart, mind and environment so it does? PS. In the Spirit of Thanksgiving, leave a comment and share one thing you are thankful for in your business this year. As a co-founder of a new startup. Your article inspires me a lot and reminds of planning ahead for 2016. It really help.